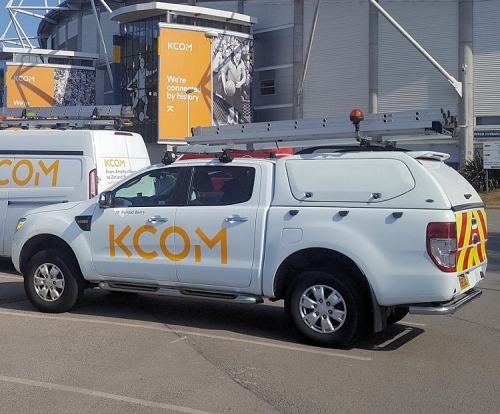 At present KCOM are in the closing stages of their £85 million “Lightstream” deployment, which aims to ensure that their 1Gbps capable Fibre-to-the-Premises (FTTP) based ultrafast broadband lines are able to cover 96% of their addressable network area (200,000 premises) by March 2019; the remaining 4% will gain 75Mbps capable Fibre-to-the-Cabinet (VDSL2) but may later also be upgraded. The figure of 200,000 premises is roughly akin to the amount of extra coverage that Virgin Media has been adding to their network every 5-6 months as part of the on-going £3bn Project Lightning network extension. This originally aimed to cover 4 million extra premises by the end of 2019 (early 2020 financial) but has been running behind schedule, due to earlier issues with overstated progress. Suffice to say that gobbling KCOM might be one way to get back on track, although the Hull provider is fairly different from Virgin’s existing DOCSIS dominated network and is also subject to tougher regulatory controls from Ofcom. The issue of regulation is likely to complicate any acquisition, particularly since Virgin Media isn’t currently required to wholesale out their own services to rival ISPs. According to The Telegraph (paywall), the alleged discussions are said to be at an “early stage“, which has a tendency to mean that readers should probably take this with a big pinch of salt until either party confirms that talks are indeed taking place. But for now neither Virgin Media nor KCOM have offered any comment on the subject. Doesn’t on the face of it look like a good deal for consumers but KCOMs shareholder could do very nicely. Well, it’s always been about the share holders, which is probably why they want to do this rather than sort their aging network out. If you define sorting their aging network out as replacing the coax with fibre in full this has done nothing to that. They continue to very gradually do this via splitting of coaxial nodes. If you define it as upgrading their HFC network to support higher capacity this has done nothing to change that. I am aware of overbuilds in progress, replacing older coaxial amplifiers and optical nodes with more capable equipment, all over the place. They are in some areas at the stage of increasing network spectrum as they have run out. In other areas they are okay with that and node splitting is acceptable. This is nothing special, it’s how nearly all cable operators that are upgrading their networks are proceeding. Those that are replacing hybrid with full fibre number exactly one that I’m aware of, and they pared the plan back from a full replacement to only in some of their served areas. Hmm this is interesting will see if it goes any further. It wouldn’t bring any competition to the area like it needs but maybe the prices might decrease. Just wondering… If the acquisition was successful, would Virgin convert the existing KCOM fibre network to RFoG? That’s just one of oh so many question marks over such a deal. No. They would likely use IPTV or RFoG in addition to the existing GPON for linear TV only. Zero benefit or point in conversion to RFoG, especially when both can be run over the same fibre. IPTV is more likely. VM have a bunch of it already – VoD to varying degrees depending on area and some linear TV channels. You will if they have to offer access. Its no different than general Fttp. Almost everyone will be offering fttp packages soon. Well if you can buy KCOM for less £ than it costs for VM to do the work then it might well make a lot of sense. It takes risk out of the equation. Now this may not be as silly as it sounds as VM may decide that they way forward is a split network ecology with Project Lightening fibre moving to distribution of FTTP and increased symmetric speeds. There does come a point that when VM have a lot of fibre in the ground they are going to be forced to wholesale it as it does get pretty silly to overbuild vast areas of the country. And they may just accept this inevitabilty. And then leave the rest of the historical DOCIS network alone apart from maybe the 3.1 upgrade. Anyway this could be interesting as the first major fibre bolt on acquisition and consolidation. Fibre market working perhaps? Zero indication yet that VM will be required to wholesale. The moment they are told they have to the lawsuits start. 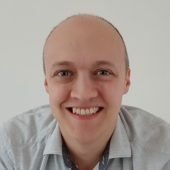 VM are not considered to have SMP. To have an exchange area considered as covered by them they need to pass 65% of premises in them. There is only a single exchange in the country that is in Market A, so not deregulated, where VM reach this coverage. Where they are present their take up is around 40%. Micromanaging VM to wholesale in areas that are both deregulated and where they have the required coverage is crazy and will stop deployment from others stone cold apart from Openreach. The only model where this might work is as a precursor to an NB where the network has become a joint venture between public and private sector. The moment they are told they *don’t* have to the lawsuits start. I agree with Joe Bloggs above: No, don’t do it, but how about laying your own infrastructure instead! Nothing wrong with that at all and it leaves KCOM customers happy.